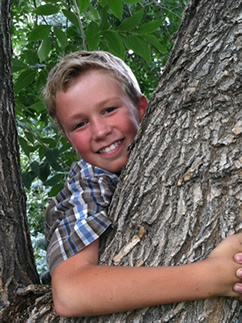 Eco-Cycle is proud to be the new home for the Be Straw Free campaign, started by Milo Cress at age 9. Please join us in enjoying drinks--strawless! Did you know that each day we use an estimated 500 million straws--enough disposable straws to fill over 46,400 large school buses per year? In February 2011, Milo (then 9 years old) founded this project, to work together with members of the straw industry, restaurants and other businesses, schools, environmental groups and concerned citizens to reduce the use and waste of disposable plastic straws. Learn more and join our efforts! > Take the Pledge To Be Straw Free! 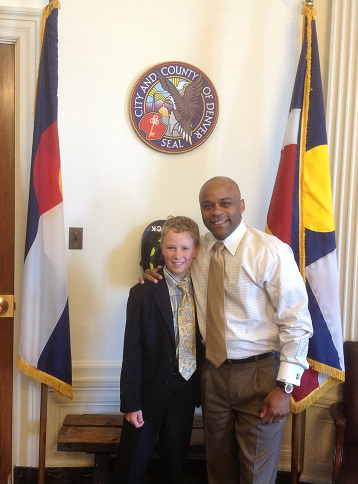 > Read the proclamation from Colorado's governor to declare a statewide Straw Free Day! Join Milo in reducing waste by taking the pledge to go strawless or adopting an "Offer First" policy at your restaurant or business. Get the whole community involved and follow Milo's lead: one person can make a difference for our environment! Commit to ask for your drinks "strawless" when eating out or on the go. Keep reusable straws at home to offer house guests who prefer or need to use a straw. Reach out to at least one restaurant or business in your community about the Be Straw Free campaign. Together we all make a difference. Proclaim your community straw free by adopting an offer first policy. 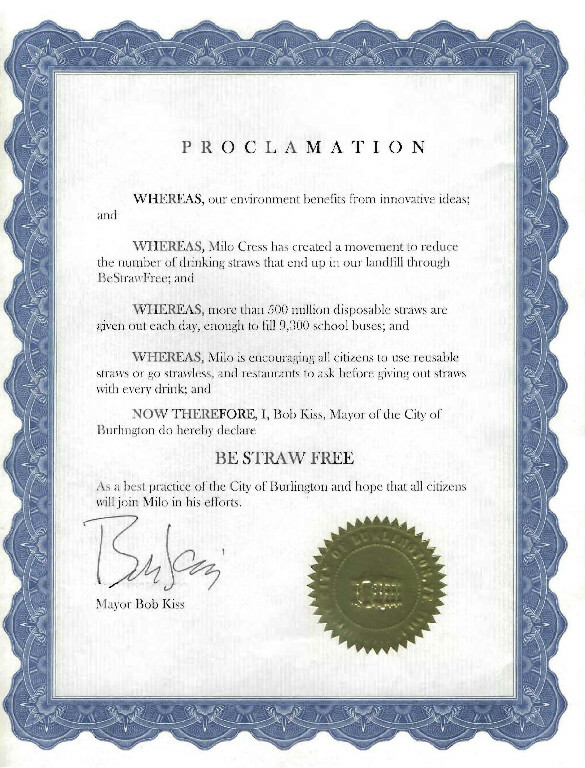 See the Be Straw Free proclamation from Burlington, Vermont. Read the proclamation from Colorado's governor to declare a statewide Straw Free Day. Reach out to all the restaurants or businesses in your community about the Be Straw Free campaign through Each One, Reach One. Hold a beach cleanup to collect litter and trash, and then all take the Be Straw Free pledge. 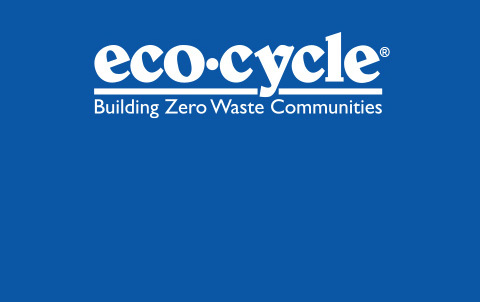 Read about one of our beach cleanups. You can contact the campaign via email.